Total Pack Produce Business(TPP) | SHIP HEALTHCARE HOLDINGS, INC.
Our group provides a consistent, comprehensive package of services designed to meet the needs of medical institutions being constructed, relocated, expanded, or renovated. Our group is able to provide planning/administration consulting, sell or lease medical devices/facilities, do construction work and provide other services as needed. 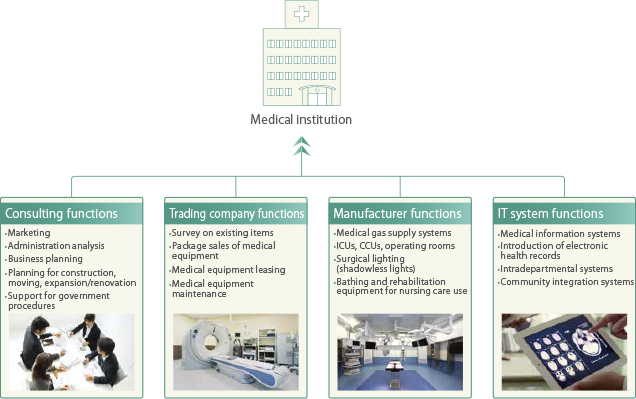 In addition, our group manufactures, sells and maintains surgical lighting(shadowless lights), operating rooms, ICUs and medical gas supply systems; develops, sells and maintains medical information systems; and manufactures and sells nursing care baths and rehabilitation equipment. 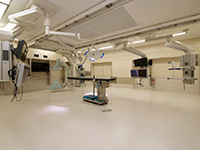 Whether for regional medical care support hospitals or university hospitals, our group provides comprehensive solutions for the construction, relocation, expansion, and renovation of large medical institutions. Our group includes highly respected manufacturers that provide cutting-edge products. 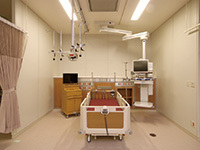 CENTRAL UNI CO., LTD. manufactures medical gas supply systems and constructs operating rooms. Yamada Shadowless Lamp Co., Ltd. is a manufacturer of LED shadowless lights that has the top share of the domestic market for surgical lighting. 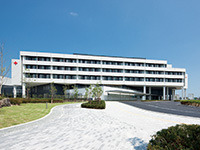 SAKAI Medical Co., Ltd. is a well-established manufacturer of nursing care baths and rehabilitation equipment. Using the PFI* method—This is a first case in the private sector—our group provides management and operation support for the International Justice Center for about 10 years. Participating group entities include SHIP HEALTHCARE FOOD, INC., F&S Uni management and GREEN HOSPITAL SUPPLY, INC.—the largest contributor. These companies are responsible for sales and maintenance of medical equipment, providing food services, and conducting SPD work. *PFI (Private Finance Initiative) is private-sector initiative system that utilizes private funds and know-how for the design, construction, maintenance and operation of public services. The goal of the PFI method is to provide more effective and efficient public services. 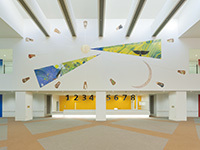 With the aim of providing patient-centered and collaboratively created healthcare services, our group provided comprehensive assistance by providing the kind of staff training required by a university hospital and the highly sophisticated medical technology required by an advanced treatment center, and by supporting to create this cutting-edge hospital that supports community healthcare and home treatment services. 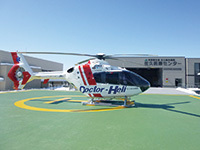 The Saku Central Hospital Advanced Care Center opened as the only referral-based hospital specifically designed to provide specialized medical care and emergency/acute medical care in the Saku Medical Care Zone, Nagano Prefecture. With the key concept of providing collaborative regional medical care, our group collaborated in the creation of this regional medical care support hospital that coordinates with other medical institutions and physicians. 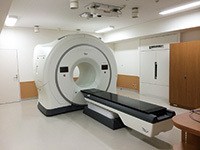 In conjunction with its relocation to new premises, our group supported Ise Red Cross Hospital improve its healthcare environment for both patients and medical professionals by augmenting the hospital’s healthcare functions in response to four diseases (cancer, stroke, acute myocardial infarction and diabetes) and in five branches of medicine (emergency medicine, disaster medicine, medicine in remote and rural areas, perinatal care and pediatrics). 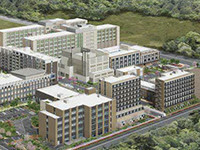 Our group provided a range of consultation services when Kokura Memorial Hospital relocated to solve the problem of its aging and cramped facilities. 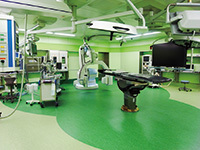 In addition, our group supplied products for the operating rooms and ICUs of its advanced treatment zone, and outsourced distribution and commodity management.